Hello, my name is Troy Taylor. I've been tattooing since January 2008, although I have been drawing and painting since I can remember. I graduated from Pittsburgh Technical Institute in '99 with a degree in Graphic Design. After many guests spots in Chicago, I gladly accepted a position at Deluxe Tattoo and currently tattoo there. 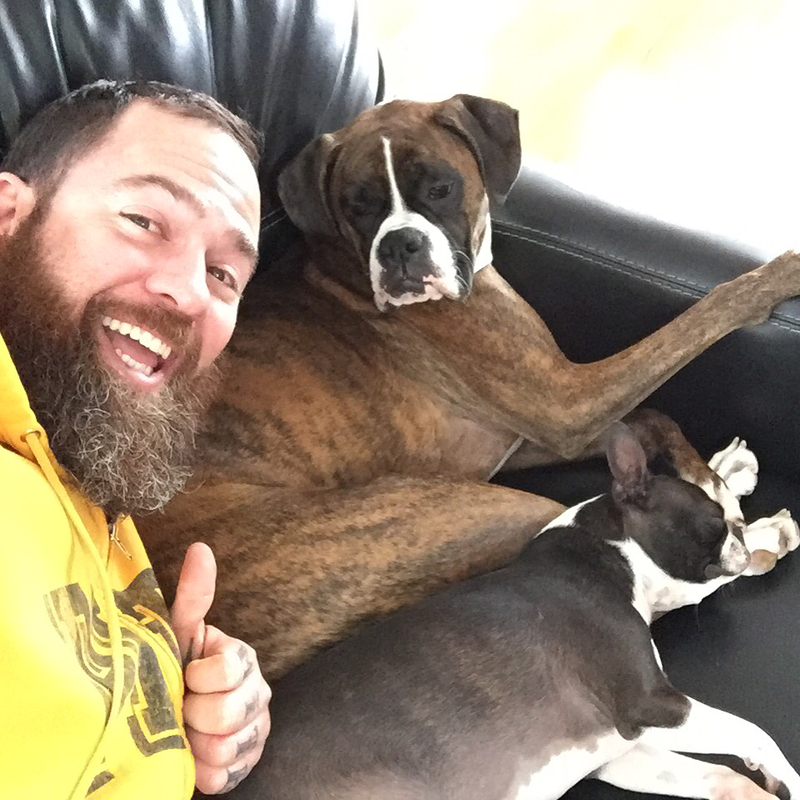 After moving from Virginia to Illinois, I currently reside in Chicago with my two dogs; my Boxer, Daisy and my Boston Terrier, Mr. Gibbs. ​My art, as well as my tattoos are uploading to this page to show you the wide range of concepts that I can do. My tattoos are constantly posted on my Facebook and Instagram as well. The word around town is that it's now a proven fact that once you get a tattoo you instantly become cooler. Have an idea? Contact me, and we can come up with something that depicts not only what you want, but my style as well.